This is our list of the top ten rides on the incredibly diverse and exciting continent of South America. Go on do yourself a favour and get there, you won’t regret it. All rides are included as part of www.compassexpeditions.com extensive range of tours, the most comprehensive offered in South America. San Martin de los Andes, San Pedro de Atacama, Ushuaia, never heard of these places, how about Uyuni, Paraty or Lago Espero, these are just some of the places that feature highly on our list of the top 10 rides on the South America continent. South America is a continent of absolute superlatives, the world’s greatest rainforest, largest rivers, longest unbroken chain of mountains, all exist here, and we haven’t even mentioned the worlds largest salt flats, driest deserts and fantastic ruins. 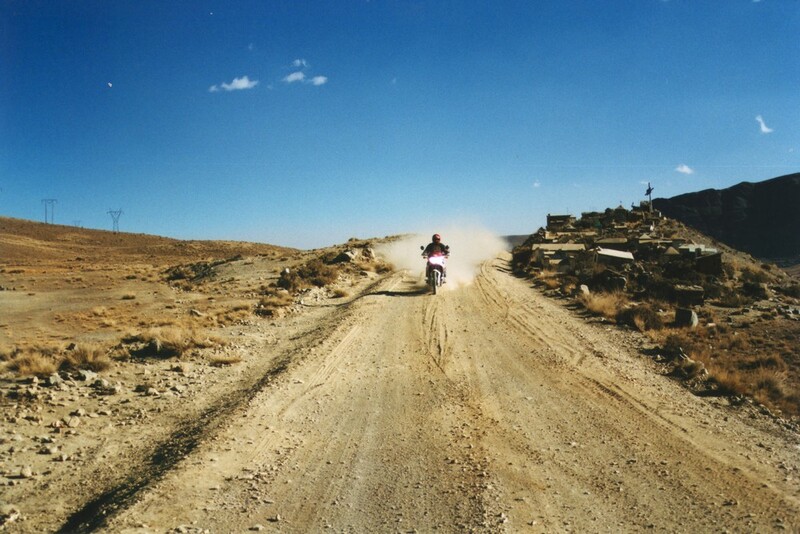 Yet this is a continent that still remains largely unexplored by today’s adventure bikers. There is hardly a corner of the world that hasn’t been explored to death or a road that hasn’t been trampled by a million bikers before, South America is screaming out to be “discovered”. Undertake one of these rides and the experience will stay with you forever. Number 10 - Sacred Valley. Beginning in the ancient Incan capital of Cusco the ride climbs sharply out of town and passes the first group of Incan ruins of Sacsayhuaman before winding and twisting its way through the Andes to Pisac located at the head of the Urubamba valley. The ride continues onto ollytaytambo across the valley floor bordered each side by incredibly steep sided mountains with views of the snow capped peaks in the distance. From “olly” it’s a train ride to one of the world’s most recognised sights, Machu Picchu. The sight of this stupendous ruin will blow you away. The ride takes you along some of the highest mountains in South America, from Huaraz you can see 23 snow capped peaks all over 5000m. The road continues north through the Cordillera Blanca with staggering mountain scenery all around before reaching Caraz. From Caraz you descend toward the Pacific but not before riding through the spectacular Canon del Pato where you pass under massive walls of bare rock and 36 tunnels. The ride continues onto Chimbote at sea level on the Pacific. Ride this amazing mountainous region of southern Brazil. The ride begins in Soa Joaquim and finishes in Bom Jardin do Serra passing through Araucaria forests as the road clings to the mountainside as it winds and twists its way down the valley. If twisting roads with numerous hairpin bends and a sheer drop is your thing you will love this ride. Often referred to as “the most dangerous road in the world” this incredible road drops over 3000m in 80 ks. Starting in La Paz the road circles skywards and crosses the La Cumbre pass at a dizzying 4725m, all around are towering snow-capped peaks. The “good” road soon ends and you are on dirt all the way down to the semi-tropical forests of the Yungas, all that in 80ks. This isn't a ride for novices, it is impossibly narrow and when you meet an oncoming truck or bus the rider must stop, alarmingly close to a vertical drop, safety barriers on this road are considered a silly extravegence and one mistake will mean death. The road that “Che” passed through on riding La Poderosa 11” an old 1932 Norton. This is one of the world famous rides that some bikers may know of. A dirt road that passes through the stunning Nahuel Huapi National Park. Crystal clear rivers, stunning alpine lakes and towering snow capped peaks all feature on this ride. You eventually hit the pavement again and follow the shoreline of the magnificent 100k long glacial lake of Nahuel Huapi to Bariloche, scenically set at the foot of Cerro Otto. Do yourself a favour and take your time on this one maybe even camp lakeside at one of the seven alpine lakes. Its magnificent. 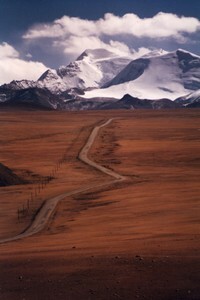 This ride has to be one of the most extreme, remote, yet visually stunning rides anywhere on earth. It is imperative that no-one travels this way alone. You ride across the biggest salt pans in the world, the Salar de Uyuni. Riding across these flats is a fantastic, if not slightly hallucinogenic experience; it is as if you are in another world. You pass by Laguna Colorado then Laguna Verde some of Bolivia’s most spectacular and remote sights. The ride is staggering in its beauty and remoteness; you cross a 5000m pass, ride amongst volcanoes, geysers and pass numerous Flamingo filled lagoons on the way to the adobe village of San Pedro in the Atacama Desert of Chile. Remember don’t try this ride alone, some people have tried and died. Often described as one of the worlds most beautiful highways, the BR 101 travels south from Rio de Janeiro hugging the forested Emerald coast allowing views of white, palm fringed, sandy beaches from the steep passes, before dropping down to the beachside itself. Beautiful little red roofed villages cram into protected bays that are dotted with tropical islands. The ride passes the wonderful colonial town of Paraty whose entire cobblestone centre has been declared a national monument. The nearby beaches are absolutely stunning. Get off your bike and spend a day on a Schooner sailing the clear calm waters of the countless bays. This ride is a tropical wonderland. This is a region of Fjords, mountains, glaciers and rare forests, but be prepared to get wet, very wet. The region experiences over 2000ml of rain per year, but the ride is worth it for the unbelievable scenery. 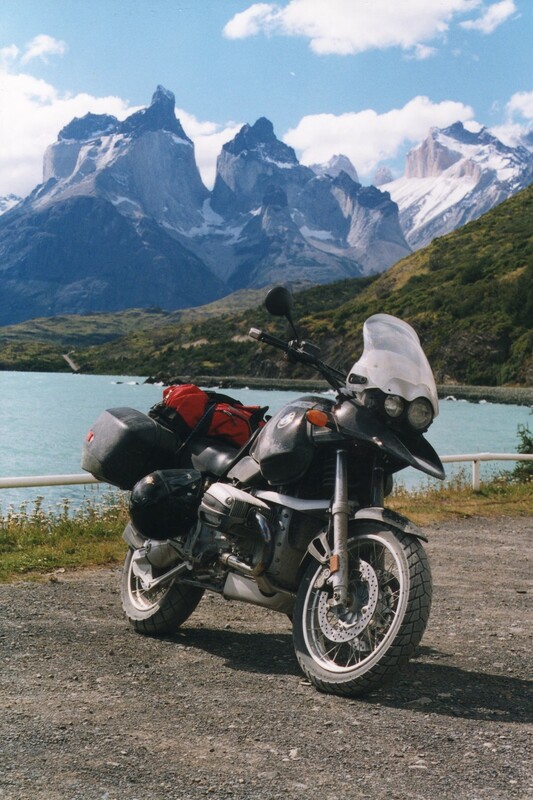 The road is referred to as “Camino Ripio” or “paved with gravel” and you will be riding amongst stunning fjords, past waterfalls, turquoise lakes, hanging glaciers and icefields before stopping off at one of the few small communities surviving in the wonderfully remote part of Chile. Don’t worry about the wet, you will dry out. 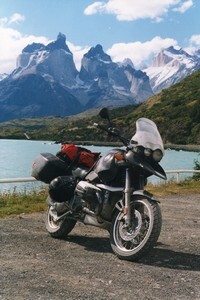 Technically speaking this legendary road RUTA NACIONAL 40 starts in Salta, Northern Argentina and finishes in Rio Gallegos in the South of Argentina and becomes RUTA 3 on Tierra del Fuego, but for the purposes of this list we shall include the ride to the very end of the road at Ushuaia as RUTA 40. This is “the mother road” of South America and has it all, but primarily we are concerned with it as it cross the lonely windswept vastness of the near mythical Patagonia. The rider will have to contend with ferocious winds and vast distances on “ripio” riding through the lands of expansive Estancias, sweeping views and a horizon that seems to go on forever. Those who stick it out will be amply rewarded as they cross onto Tierra Del Fuego and ride the stunning mountain region riding to the very end of the Pan American Highway and RUTA 40 in Tierra Del Fuego National Park, just south of Ushuaia. This is a ride of accomplishments. The deserved number one ride on the South American continent is, in our opinion, the stunningly beautiful Torres Del Paine National Park. The 180,000 ha UNESCO bio-sphere Park has been described as a mini Alaska and is crammed with soaring granite peaks, royal blue icebergs, turquoise lakes, glaciers and wandering wildlife. Every corner presents a scenic wonder and you will be awestruck by the sunrise over the towers (Torres) as the view is reflected off Lake Pehoe. It will take you at least three days to explore all corners of this jewel in the Patagonian crown. Riding here will leave you with memories that will stay with you forever.